Having purpose to your teaching is arguably the most important component to your success as an educator. The purpose you find within yourself will be your guiding light, your compass, the internal road map you rely on to make decisions and when taking action. Your purpose will also determine the success of your students as it will shine through everything you do thus, transferring to each and every student you come into contact with. First you need to find those that you may learn from; a mentor. What is it about how they teach that resonates with you? Is the style they exhibit? The words they use? Their tone of voice? There are so many keys to your own purpose in noticing it in those we admire. It may be the way in which they teach as a whole or navigate a classroom - both hold keys to the insight into your own purpose in teaching. Let go of unconscious needs to make locating your purpose easier When you are unclear on anything this means that there are some unconscious conflicts in your system. The simple answer is to just be who you are as you will call experiences to you that only you can attract. The experience you will have will be a result of you just being yourself and will yield many insights into your purpose as a teacher. Remain open to challenges you face and how you handle finding the solutions to those challenges. Clearing blocks that keep you from your purpose. Can you imagine living a life that was full and with no excuses? What would you attract? What type of people would come into your life? What would you create? A common thought is that when you dive into living your purpose you will lose the relationships, experiences and lifestyle that you hold dear. The fear is that your life will change so drastically that nothing will be familiar or comfortable. The shift is a simple one. You purpose being apart of who you are already. Therefore, the only change will be in you and how you interact with your experience. Everything else will remain. I want you to take some time to think about what you need to do and the person you need to become in order to live your teaching purpose to the fullest. What do you need to release in order to live your purpose in every moment of every day? This may be the fear of change itself. Be present key! When you are present and fully grounded in your purpose you are aware of what is going on around you. This gives you access to choices that weren't seen before, when you had your blocks in place. By being in the moment you can serve your students to the fullest of your ability. This will not only benefit you or your students. Being present allows you to positively influence the future generations. Reminder: Your purpose IS YOU at this moment. It's not in the past or the future. 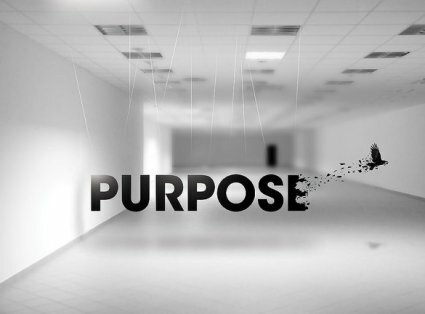 Your purpose is a living breathing part of who you are in every moment of every day. Live it! Embody it! Your students will notice, your parents will notice, and the future will notice. a rapid, slight variation in pitch in singing or playing some musical instruments, producing a stronger or richer tone. Vibrato is by far the technique that eludes many students. Some students have voiced that that vibrato is unreachable or unattainable. It seems that the taboo surrounding vibrato is based in how it is perceived. Once vibrato flows naturally, it is perceived as a fluid whisk of the wrist that looks majestic and seamless. This creates a perception for students that makes it seem out of reach because they are not yet at that place. Vibrato is kind of an elusive technique, it's mysterious, and amazing to watch. Therefore, because of this vibrato can seem more challenging than it really is. In this article I'm going to break vibrato down to three easy steps, just to get you started. Even though I will include some nuances, this is not an ultimate guide. More, this is an starter guide. I'm going to make this as simple as possible. Foregoing the technical terms that can seem to convolute the essence of vibrato. Enjoy this process and, remember that it's not near as out of reach as it may seem. Q: Which finger should I start with? We start with the second finger mainly because there is good range of flexibility being a center axis of your fingers. Also, with the second finger there is a lesser need to rotate your wrist in order to get a fluid motion. *Wrist Vibrato: Wrist vibrato is when the focus is on a wrist motion. This means that the flexibility and vibration is operation from the wrist. *Arm Vibrato: This is where the vibration is accomplished by moving the entire arm by moving it back in forth so as to make the fingers flex and create the vibratic sound. The fundamental movement of vibrato is in flattening and re-curving of the finger that is currently on the string. Meaning, your finger, when on the string, should be curved, reaching up and on top of the string. Therefore, the motion that is a result of either accomplished by using your wrist or your arm, should accomplish the flattening of that finger then reestablishing the curve, or the original position of the finger. Your finger will look like as though it "hooks" onto the string. When you flatten your finger, you bend your hook and the bottom of your finger is looking at at you. This may seem drastic but just remember that we are learning the basics here, nothing more. In the future, your finger will rock back on forth on the tip like a buoy in the ocean rocks back and forth in the water easily. Your wrist will naturally start to want to flex back and forth in order for your finger to bend properly. 1. Place your finger on the string. Check to see that it curves, as if to "hook" onto the string. 2. Flatten your finger as if to point your finger back towards yourself. 3. Return your finger back to it's up-right position, returning it to it's "hook" look. 4. Flex your wrist in order to establish finger flexibility. When practicing this transition from hook to flat finger, it's most important to focus on making everything as flexible as possible. Your basic should be with a metronome at 60bpm(beats per minute)flexing your finger with each beat. This means you will flatten your finger every time your metronome makes a song and then returning to the upright position when it makes a sound once again. Take it slow and easy and take mental note of every nuance as your wrist and finger become more flexible. Practice will be key as you strive to make your finger transition fluid and seamless. This will also take time and focus. Muscle memory will take over once your muscles of repeated the movements enough times. When muscle memory takes over, you will stop thinking about each motion your wrist and your finger make. However, don't try to rush the process, and ensure that you are make a clean transition from curved to flatten finger and then back again to curved. In practice, you should focus on consistency in movement. This will occur the more you do it and as the muscles build in your fingers and wrist. 1. 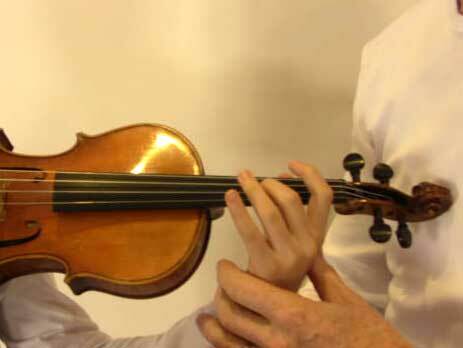 Start by practicing your flexing of your finger on the outer rim of your violin when your violin is in playing position. Meaning, your violin is on your should, and you place your finger on the outer top rim of your violin and then flatten and curve and flatten and curve and continue this motion to build up strength. 2. Start practicing with a metronome at 60 beats per minute, attempting to reach 120 beats per minute. 3. Allow for your finger and wrist to relax into a natural swinging motion. This will allow for your finger and wrist muscles to naturally strengthen and for you to feel the looseness that will eventually become the norm. This is when you get to use your bow while playing with vibrato. Take this slow and without the metronome. What you are going to is is set your finger on your string(my suggestion: 2nd finger on a/C), play one long bow, flex your finger and your wrist as you've practiced. The tone of the your note should alter by dropping. Once transitioning becomes constant, you will first here the note you selected and then a half step lower note. This is what vibrato does. Vibrato is a fast(eventual)altering of the note you selected. Example; C, or 2nd finger on the Aing, with vibrato will look like this: C, low C, C, low C -- continued. As you become more comfortable with how it feels and the motion you are making with each note, this will become less noticeable and start to sound more like one vibrating note versus two separate notes. 1. Start with long bows when applying your vibrato. This will give you less to think about on the right hand bow side of things. 2. Listen for two separate songs when flexing your finger. 3. Work to speed up your flexing as to create one note vibrating, transitioning from the two separate notes. 4. Focus in on a holistic approach toward your left arm and hand when working on flexibility. You want your entire left arm to be as a jellyfish; flexibly but in control. Becoming fluid with vibrato is a long and sometimes tedious process; stay with it! Keep these fundamentals in mind and you will have a solid guideline for vibratic success. The end-game idea is to have your tone to sound like the human voice. For each not to sound as if it is a vocal chord vibrating. Conveying the message you want in the most elegant of ways possible. Stay the course, keep checking your actions, listen for what you want to hear. When I get a call from a parent that is interested starting their child in music lessons, there are always similar questions amongst all calls. When a parent of a current student asks when they can start their other child in music lessons, there are always similar questions amongst all inquiries. In this article I've compiled valuable information that I hope serves to answer the many valid questions parents have regarding music for their children. 1. How Young is too Young? Good news adults, you can start at any time! The success you have is singularly based on the level of commitment you have towards playing your instrument. Generally speaking, 4 years of age and older is good for beginning the musical journey. If you have a pre-schooler interested in starting music lessons, try starting them in a group class with other children their age. This will give them a chance to interact with their peers, with a good foundation of group musical communication. Private music lessons should be taken up after the age of 6, depending on the child. At this age the child has received experience with teaching via school, understanding the basics of the teacher-student relationship. It's sad, but true. The honest message is that many amazing musicians simply don't know how to teach how to do what they can do. This is mainly due to that fact that most extremely talented musicians have always been the way they are. Therefore, because they weren't taught, their talent coming naturally, they themselves are unable to teach the steps to reach their level. Be cautious, sometimes you can find an extraordinary musician that also is a great teacher. Getting a start with a great teacher will allow for an open-like for success. This will set the foundation for a long and beneficial musical road. Locating a suitable teaching can seem difficult but keep faith and you will find the teacher right for you and your child. This is probably one of the most important things a parent can check in on when selection a teacher. I have seen time and time again where a teach is unorganized and out of sync. But in order for an educator to teach skills to 20-40 students of varying levels organization is vital for constant progression. A great teacher needs to keep up with the progress of students. This is only accomplished with organized notes, student profiles and constant updates. This can't be done without writing things down. If you want to check out the organization of a teacher, ask how they keep track of progress. There are many good teachers out there. They all mean well and do well inspiration students. But the key is finding the teacher that best works will with your child. Follow the steps we covered above and apply it to your personal situation for best results. Each teacher is going to have a story, skill set and vision for their students. As a parent, you duty is to find the teacher that aligns with you values and goals for your child. What Are the Benefits of Playing the Violin? Some May Surprise You. I'm very excited about this article! Mainly because we are flooded with so much negativity in the media today, over and over again throughout each day. Forget all that, today we are talking about the awesome-jump-up-and-down-smile-from-ear-to-ear-amazing-surprising-true-benefits of playing the violin! These you benefits you can pull out anytime a student asks, at the dinner table or at the post office. These facts will serve you anywhere at anytime to support the art form you love - playing the violin. 1. Your muscle memory will improve as you become better at playing violin. It also gives you the opportunity to memorize songs and play without sheet music, which sharpens your memory even more. Your mind will sharpen as you refine your focusing skills, and those mental muscles will become easier to fire when you want to use them. 2. When you're stressed, playing the violin is a very healthy way to let off some anger. The sound of the music can even be calming, and playing a song you know well can provide relaxation. After practicing, you may feel as though you've been meditating. Playing a comfortable song can put your mind at ease and but you in a really good space. 3. According to a study review presented by the Willson Center for Humanities and Arts, school-age children who play the violin often see a boost in academic achievement compared to their non-musical peers. Your ability to process information will increase the more you play the violin. This is because when you play the violin you are processing multiple streams of information stemuli. Your arms are moving, in accordance with the notes you are reading, that you in turn make sound as you hear it in your head. The amount of information that is processed is quite amazing, literally! 1. You may find yourself getting tired after first starting the violin. This is completely normal. As your arm muscles and upper body become stronger, they become stronger and this fatigue will lessen. As a result; stronger arms, more stamina, and burned calories. That's right! When you build muscle you burn calories - every time! It was said that violinist Jascha Heifetz lost up to 3lbs every time he performed. If you perform twice a week, you could drop optimistically 6lbs a week. Talk about motivation! 2. Another amazing benefits of playing violin is that it requires you to have impeccable posture. This means you’ll need to have your back straight, shoulders back, and limbs relaxed. As a result, you become stronger. Also, your posture becomes better in more ares of your life. Dr. Oz once stated that good posture could prevent many every day illnesses because of the increased blood and oxygen flow to the brain and the rest of the body. This will clear up mental fog, stress and tension in your joints. 3. When coordinating both your fingers and your arms simultaneously, you build hand eye coordination AND finger dexterity. This is HUGE! When playing the violin you are building to very valuable skills simultaneously. When you play, you are required to match up your left hand with your right arm movements. At the same time your left hand fingers need to hit specific spots on the fingerboard, which, are only indicated by the sound you here. This means you are relying several mechanisms in order to link everything up. This is a massive achievement within itself. An achievement that strengths your mind, dexterity and coordination. 1. When you perform, or simply play in front of an instructor, you build confidence. Every time you receive positive feedback from an external source, your confidence builds and that, in turn, positively impacts your playing. This confidence builds on itself until you are a mountain of confidence that allows you to play strongly and with conviction. 2. As you zero in on things you'd like to fix in your playing, you develop higher standards for yourself. This, if you'll let it, will impact other areas of your life. Once you've built your confidence, and you know you can achieve a higher level, you'll continuously apply constructive criticism on your art. This will flow into other areas of your life; relationships, finance, health, etc. This is a major benefit, and everyone will notice it. 3. Just by being a violinist, you are apart of history. This will give you a sense of community and connectedness to a larger whole. The violin has a massive history and, whether you are playing the classics or composing original material, every time you play your violin you are continuing a legacy that spans 400+ years! This is an incredible feeling and can propel you to feel as though what you are doing is part of a bigger story - and it is! Before I get criticized on the title alone, let me clarify the purpose of this article. Many students going into middle and high school are asking this question. They want to honestly know the pros and cons to selecting the violin as their instrument as choice. I admit, I am bias in the sense that I think more strings in schools will only benefit children and the future of music. However, just as in anything there are both pros and cons to participating in an activity. And even though it would be very hard for me to find a con with playing the violin, playing the instrument may not best fit a student and, this we must recognize. In the interest of fairness I've enlisted in some discussions that actual students made regarding the choice of violin as their instrument of choice in school. This will give you further insight in as to how students are thinking. Therefore, after some investigating, I found the following conversation on an forum of youngsters, specifically designed for discussions of this nature. "I already am a grade5 piano, grade2 clarinet and sax have tried guitar and cant get it but ive always wanted to play violin - pros and cons?" It's a relatively small and light instrument to carry around"
*You now play a 4th instrument and that looks good on a college resume. *When you start dating (assuming you are young) you can serenade your girlfriend with the violin. *You can get a good paying job at a fancy restaurant for playing the violin (there aren't a lot of willing violin players). *You can make new friends when you take classes. *You will be made fun of. *It may be hard and you might get frustrated with it. Be persistent and have fun with it. Do what you want to do and don't give up." As mentors and educators, what can we bring to the table when presented with the same question by a student? The best action we can take is to be honest. But also to present many other instrument options as alternatives. 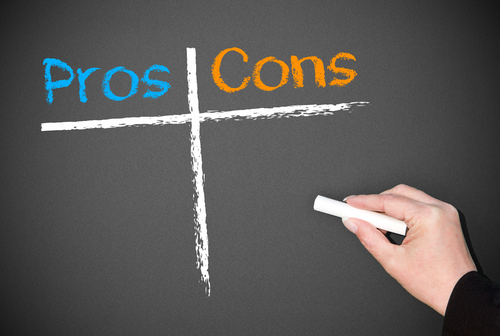 When these instruments are brought up as options, the pros and cons should be shared as well. The goal here is to be honest with students no matter our personal disposition, because everyone needs to find their voice - their unique voice. The crafting of this article, I must admit, is due to my own curiosity. And after some thought, I knew others would want to know what people are buying only and why. This list of items may or may not surprise you. Regardless, knowing this information will further expand your view of the violin world. As you can see, rosin and strings dominate the list. This makes complete sense. The only item that stands out, even if slightly, is the violin hanger. If you aren't familiar with what the hanger is, I will fill you in. The String Swing Hanger attaches to a music stand to offer a place for your violin to hang. The most important thing to keep in mind is to be open to new accessories that might aid in your performance. Although accessories aren't everything, you can't operate without some tools. Even some of the most minimalist players I know still use their favourite rosin or set of strings. Most find what they like and stick with that until they get curious again to try something different. I remember when I switched to Vision strings from Dominate. The change was a good one, in my opinion. But I would have never known if I hadn't taken that first step to try something new. Accessories are tools. They are the material objects we rely on to produce what we hear in our head. Just as in the statement by Jennifer above, rosin is like the utensils we cook with. The shoulder rest, the pan. The strings, the stove. This goes to show that we must continuously try new ways of cooking if we plan on serving New dishes. Hugh Alan "Buddy" MacMaster, passed in his home yesterday in Nova Scotia at age 89. 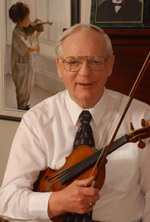 McMaster was one of the most renowned artists in the tradition of Cape Breton fiddle music, receiving many awards including an honorary doctorate from St. Francis Xavier University in Antigonish in 1995. Buddy played his first professional gig when he was 14 years old at a square dance. His full-time professional career as a fiddler didn't kick into high gear until 1988, receiving international recognition. CBC Canada reported yesterday that earlier this year, Folk Alliance International chose MacMaster to receive its Lifetime Achievement Award, joining the likes of Joan Baez, Bob Dylan, Woodie Guthrie and Canadian Stan Rogers. "I never considered being a permanent violinist, you know, making a living at it. But ah, I was popular as a fiddler it seems," said in an interview this past year. McMaster influenced every facet of fiddle music. His unique style and mastery served as inspiration for musicians, music enthusiasts, and fans. The gap that remains from his passing is vast as we are forever indebted. The world is definitely a different place from when Buddy played his first square dance. Dances are few and hard to find. The professional musician landscape is different. And, the styles of fiddle playing has adapted to entertain new audiences. But regardless of the changes that have occurred, one thing remains the same; the legacy left by Buddy McMaster is unchanged. His legacy remains to teach us to keep striving, innovating and, over anything, keep fiddling. Have you ever wondered if what you have in your case is similar to a what a professional has? Have you ever wondered what a professional violinist considers necessity for their success? Well, you're in luck. I have reached out to eleven of my professional colleagues to find out the answer to the question, "What's in Your Case?" "In my case... At any given time, there is probably about 6-10 months worth of random string parts from various gigs that I have either written or was hired to play. Or a pile of chord charts and set lists from the last few singer/songwriter gigs. Copies of music (usually fiddle tunes) for students, photos of my family, too many bows, pulverized steel wool, dirty cleaning cloths, a worn-out shoulder rest, extra strings (for both fiddle and mandolin)." 2. Several good pencils sharpened & ready to use at lessons, and most importantly, symphony rehearsals! 3. A microfiber cloth to wipe my fiddle clean after each use. Unique items? I don't keep much in my case to begin with! But I do keep a little open A pitch tuning fork, going 'old school'. I'd rather hear the vibrations from the tuning fork than use a tuner or tuner app! And finally, I have a print out of the FAA Modernization & Reform Act of 2012 that states that airlines" shall permit a passenger to carry a violin in the aircraft cabin as carry-on baggage". As often as I fly with my fiddle I've never been bothered about bringing it on the plane–but I'm sure not going to take any chances!! Oh, two final things–there's always an extra set of strings in the case. And photos of my wife Fran & two cats Finn & Zoey. That's everything in my case!" "My regular shoulder rest doesn't fit in the case, so I always keep an extra one inside the case, for when (not if) I leave the main one behind in a green room far, far away. I always have two rosins, because they break so easily! I also carry two 'wristies' gloves for playing in cooler settings. They cover half of the forearm, have an opening for the thumb and a big hole for the other fingers. After an unfortunate performance many years ago when I broke a string and didn't have a replacement with me, I now carry 3 new sets of strings with me (and one lightly used one in the tube-y thing-y). I always keep a copy of some FAA legal document that gives me a deep sense of institutional comfort during travel. Other things that I see as I look through my case at 6:48am at LAX: gum, a pen, two pencils, extra contact lenses, a mute, a bright green rubber band and a piece of cloth." "1) The basics ~ rosin, shoulder rest, spare strings, peg dope, practice mute. 2) Clothespins ~ in case of outdoor gig! 3) Ear plugs. Not the foam kind you can get at the drug store, but the baby blues. Another violinist friend, Ben Russell from the Bryant Park Quartet, bought me my first pair and I've sworn by them since. 4) $20 mad money (held by a clothespin, of course) ~ for when you forget your wallet at home but you know your fiddle never leaves your side. Plus it comes in handy and makes you look baller when you forget to bring your mute to orchestra rehearsal. 6) A nail clipper! Must have!!! Up until last week, I also had "mad money" pesos in my cases left over from a Mexico tour I had a few years ago. And though not technically *in* the case, I do have a carabiner attached to my case strap. Gotta stay hydrated during rehearsal." " Lots of stuff in my cases. Besides the usual rosin, cleaning cloth, & shoulder rest, I usually have business cards, eye drops, reading glasses, list of fiddle tunes I know, paraphernalia from various bands (stickers, CDs, flyers, etc) vitamin packs for when I get sleepy." " Rosin, cloth, and a second bow are my must haves (also extra strings)--unique to me would include my mute assortment (mutes made with different materials generate different tone colors and I like to experiment), and the red cosmetic sponge I use as my shoulder rest--one side is coated with rubber cement so it'll stick to my violin without damaging the varnish." "1. I keep three microfiber clothes to wipe off excess rosin and dust to preserve my much beloved Jon Cooper violin. 3. My hydrometer, to keep my violin in check during the changing seasons in Maine and during travel. 4. 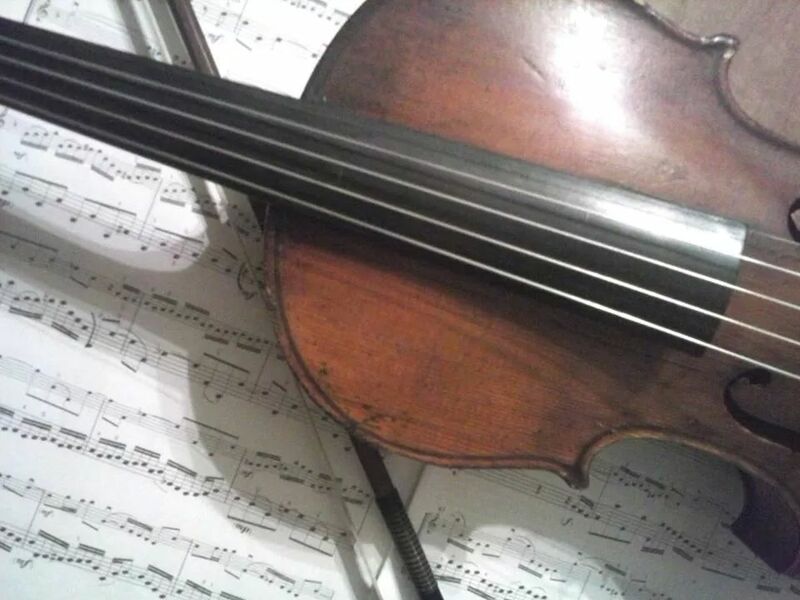 My violin itself. It's a custom-made Jon Cooper O'Connor model. The label reads, "Fatto per il mio amico Andy Happel." I call it the Calendar violin because it's number 365 and there are so many islands here in Casco Bay, near where I live, early explorers referred to them as the Calendar islands. 5. Valentine card from my wife Margaret, which winks at me every time I open the case." "Things that are must-haves: metronome, practice mute, and lots of pencils. Two items that are unique to me: a pair of headphones (so I can always learn a tune from my phone or iPod) and a small moleskin with staff paper for writing down tunes and ideas." "A tuner or tuning fork...doesn't matter to me, I'm old school on tuning. A carbon fiber bow as an extra for those late night Kansas jams and a bandanna for cleaning strings or what ever might need to be fixed. Extra items....Hairbrush so as not have last minute Crazy Hair and a bottle opener....for bluevrassers it's a necessity..."
"Firstly; Earplugs, and the cable for my pickup. I doubt any item is unique to me, but I think the earplugs are so, so, so SO very important. Hearing loss in the world of music is no joke. It's usually a result of an amateur sound engineer, feedback issues, or sitting in front of the brass section. Even a loud crowd in a bar can cause damage. As for the cable, I have missed many opportunities to play because I didn't have my cable and the sound crew didn't have an extra one." "I keep extra strings and rosin. I also have extra CD' s to sell. I have random papers and setlists and music. And, a goat skin ceramic shaker." Most of everyone knows I play an acoustic 5ing violin, even though I don't treat it as such. When I first started playing the violin with the newly added, and sometimes controversial, 5th string I wanted to ensure that I didn't over-use the string as if a new toy or gimmick. Something of this nature, an innovation of sorts, needs to be handled with care as to not allow it to become something that sticks out as a thorn. Rather, the fifth string should be treated as an equal member of the family. A 1/5th component of a larger unit. If this mind set isn't adopted, the addition string becomes over played and subject to auditory abuse. A common question that arises is whether the technique of the 5ing player is different than that of a traditional player? The answer is, yes. Although, maybe not as drastically of a difference as you might think. The main technical difference is mainly in the openness and reach of the left hand fingers. This is obvious due to that new string you have to accommodate for. As for the right hand, the strings are often closer together. This can make string crossing either easier or far more difficult. Easier in the sense that there is less distance between strings. More difficult in the sense that you can no long rely on that G string as your bottom string. These adjustments are easily adapted once some practice is had. Julie Lyonn Lieberman said that, “Playing a four string and a five string fosters the development of spatial acuity in the right brain, creat(ing) a vital and useful mental heirarchy betwen the motor cortices and both hands.” Chiming in, Daryl Silberman feels that the five string was best for students that was “specifically interested in the technical challenges” of a 5ing violin. In other words, after you beat the "4ing level" you can go on to the "5ing" level? I believe, and know first hand, that playing a 5ing is extremely building of character. Also, the creative component is inspiring. Although you can do a very many fun musical things with a 4ing, one more string couldn't hurt. The covenant C string adds a new way of looking at the instrument and the approach to performance. Like a child that has jut received the colour turquoise to add to is crayon collection, a musician with a 5ing is just the same. The crafty use of the new string is found in conscious use, lest everything become turquoise. Nevertheless, this new colour allows for new ideas to emerge, now that the opportunity has been given. To be clear, I don't think every violinist has thought "I wish I had another strong." Rather, the new ideas are exciting due to the new string's availability. Therefore, this creative availability establishes new thought processes and instrument exploration. Now there are options to explore the other areas of the instrument in relationship to the new string. The entire creative landscape alters as the mind can expand along with the music. As a colleague of mine stated, "The five string; the wanna be viola" The 5ing can offer some appreciation for the violin's close family member the viola. As if to transport you to another world, you can suddenly read two new clefs. When playing the 5ing we are able to understand playing from the violist point of view, or at least a good sense of it. This is both humbling and character building at the same time. As this perspective grows collaborating with violists might become easier and simpler. Whether you agree with the 5ing alteration or not, I hope everyone can see the many benefits that accompany attempting the 5ing experience. I truly believe that any challenging experience builds musical character and creative development. In the case of the 5ing violin, the truth lies in practice. The rewards in the results. The inspiration in the creation. In all cases where a person is given the opportunity to create outside the constructs of normalcy, a human being flourishes. In every case where a human is given tools to enhance their creative influence, everyone wins. The win-win situation that we all look for in our relationships is found in this creative thinking via our ability to view the situation from the point of view of the others involved. This allows us to be open to their ideas and creative offerings. If all parties participate in this manner of behaviour, all parties will have their ideas heard. This is the direct benefit of creative thinking and creative interaction; the opportunity for everyone to have their ideas heard without bias. In this way we can see the bigger picture and how each creative ideas plays a role in the overall mission of the group. Once the vision is determined, the group can move forward in making unique decisions that will make the outcome better and full of more substance. After the group has agreed that every idea will be heard and appreciated, the creative landscape expands to allow for nuances that fortify the fabric of the end result. When a group first establishes, the importance should be on this creative openness. The teacher should make a point of setting the allowance president, to inform every student that their ideas will be heard. The energy dynamics in the group will become lighter and more friendly. Even though children sometimes need to be taught to be open to the ideas of others, they will understand the benefits as it applies to them. Collaborative creativity comes only at the price of a different way of thinking. But isn't that what creativity is all about? The title of this article may seem to give a lot away as many teachers and musicians understand the importance of fun in the classroom already. Nevertheless, I am will go into vast detail as to how fun activities can positively influence the Classroom energy in such a way that your students will never be the same. I also want this to serve as a reminder that children are still children, goofy and energetic. As teachers awe can you fun as a way to allow them to be children in a way that also allows them to learn. As I stated previously, children are goofy and energetic in a way that seems to elude most adults. After we grow up and become "mature" we lose that playful spirit that children so readily embrace. Internally, we can view this behaviour as unorganized and chaotic. Externally, we put on this front that portrays to our students lack of recognition of their natural silly state. Children innately find joy in every moment, this enables them to think unconditionally, outside the box and creatively. Isn't this the state we wish all our students to be ? We do, only if we can control it, right? As an instructor we have a plan for our pupils. Therefore, we must garnish some focus on control in order to execute the plan we envision. The problem with this line of thinking is that it's to rigid. There are to many confines, barriers, and rules. Children are born into this world not knowing of these ideas, thus, unattached to any set of doctrine or methodology. Therefore, as soon as we attempt to implement our "plan" for them with a focus on reigning them in, we lose that enthusiastic childish spark. As we venture into lessons this week, the importance and focus needs to be on that which makes us human. The silliness and the unorganized. The goofy and energetic. These characteristics know nothing of limits or rules. At the end of the day, what exactly is wrong with that? Nature itself is known for being a "organized chaos". This means that we can be organized and yet still allow the chaos to have its place. This allows for freedom, flow and a sense of concurrency between teacher and student. Meaning, allow outpatients to be silly and guide the energy that silliness provides in an education direction. This requiring no reigning in or control struggle. This requires you to allow what naturally occurs constructively and educationally. In conclusion, my challenge to you is this; throw out some rules and preconceived notions of how you think they should learn. In doing this you will vastly increase the opportunities available for the student to surprise you in their innate genius. The day comes when you start a new student in your music program, having high aspirations for what the future holds. The class goes well and you are excited about how you will positively impact the lives of these young people. After the class, you meet with the mother of the newly attending music student. At this moment, there is a tight rope you find yourself on. Lean to far to either side and find yourself falling, looking for a way to reclaim balance. On one side, you have the please of the student. On the other, pleasing the mother. Both are equally important and both equally challenging to accomplish. But must we continue in this way? Or might there be another way to navigate this dual relationship ? First, we must understand directly what each side wants. For each side want different things, in different ways, with different results. For the student, in general cases relating to children and young adults, wants to enjoy the learning process. This has changed over the past century with altering and delivery amount of entertainment. Taking this into account, young students want to be entertained more now than ever. This also address the shrinking attention focus the current entertainment stimulates. This means that students will better take in smaller doses of information versus elongated marathons of intellectual stimulation. Their brain needs sprints of information with breaks set in entertainment. This keeps their brain periodically spike, keeping interest and focused attention. For the parent, overall grown is of most importance. The parent wants the life of the child to be enriched in every way possible. The bottom line for the parent is giving their child a better chance at life than what they had. In this, the parent will look for every possible chance to further enrich the lives and futures of their children. Therefore, the teachers job on this side is to keep the student growing on a fronts. By now,you may seem how we can turn this into a win-win situation and completely throw away the tight-rope entirely. The bottom line in effective modern pedagogy is ensuring that as we entertain the student in a way that perpetuates long term, multi-level personal growth. We must embed the entertainment with the skills we wish to pass on to the student. This enables growth in a way that best relates to the student. The days of long historical stories capturing the attention of children are gone. However, the days of acting out those same stories are here. In this way we can inspire both, the student and parent that anything is possible. Your Coffee. Your Wine. The Perfect Balance of Both for Peak Performance and Practice. Morning strikes and I reach to craft a solid dark roast that fills the room with the aroma that instantly connects me to the earth. The coffee I experience in the morning is an important part of my day, as it continues to impact me throughout day with each additional cup. I will finish my last cup, on most days, around 11am. This allows my body to detox the morning coffee and not crash mid-day, and level out from any type of hype that the coffee game me. Depending on the day, 8 o'clock rolls into town and I pop an unopened bottle of red wine for a nice wind down. The wine is a nice cap on the day as I take time to take stock of how the day went and how I can make it better next time. Wine is also very artistic for me; wine has many levels and many different types. This allows me to explore different areas of the world and how they influence the wine I enjoy. The question is this; what amount of coffee helps my performance as a teacher, performer and creative? Also; what amount of wine aids in my night time creativity by allow my mind to be more free? In this article I will outline what the professionals say regarding these two stimulants that most every creative professional enjoys on a daily basis, in order to showcase the benefits of them in the correct doses. Caffeine is one of the best-tested ergogenic aids (substances, devices, or practices that enhance an individual's energy use, production, or recovery) and is known to help athletes train harder and longer. Caffeine stimulates the brain and contributes to clearer thinking and greater concentration. There are more than 74 good studies on the use of caffeine for both endurance exercise and short-term, higher intensity exercise. The vast majority of the studies conclude that caffeine does indeed enhance performance and makes the effort seem easier (by about six percent). The average improvement in performance is about 12 percent, with more benefits noticed during endurance exercise than with shorter exercise (eight to 20 minutes) and a negligible amount for sprinters. More benefits are also noticed in athletes who rarely drink coffee, hence are not tolerant to its stimulant effect. Because each person responds differently to caffeine, don't assume you'll perform better with a caffeine-boost. You might just end up nauseated, coping with a "coffee stomach," or suffering from caffeine jitters at a time when you're already nervous and anxious. And be forewarned: While a morning cup of coffee can assist with a desirable bowel movement, a pre-competition cup might lead to transit troubles! Experiment during training to determine if a caffeinated beverage or plain water is your best bet. Caffeine is also an ergogenic aid, meaning it increases power output. This is true for both aerobic and anaerobic exercise. If taken before a workout, caffeine could improve your performance and give you an edge over your opponents. There is some evidence high doses of caffeine can reduce blood flow to the heart during exercise. The mechanisms aren’t fully understood, and it was in extremely large doses. People respond to caffeine in different ways, so be sure to test its effect on yourself. If you consume reasonable amounts, it will likely improve your performance. The bottom line is, as always, did you go faster or not? The amount of coffee that you should take for your best performance is found right before you start to feel "over caffeinated" . This is going to take some experimenting. You will find the best amount when you aren't scatted and focused. This might be in lesser forms of caffeine; i.e. green tea, black tea. Again, this will take some experimentation and some time. But enjoy the process and lead your day with jolt. Sociologist Joseph Gusfield observed in an essay he contributed to Constructive Drinking, the mere presence of alcohol signals that we have permission to be our "authentic selves," we are allowed -- at least to a degree -- to reveal personal information about ourselves, to talk about silly things, and gossip more about others. This alludes to the idea that we are more honest with what we want and tend to not let silly self doubt stand in the way of us achieving it. 1. "they solved 58 per cent of 15 items on average vs. 42 per cent average success achieved by controls"
2. "they tended to solve the items more quickly (11.54 seconds per item vs. 15.24 seconds)"
Tipsy subjects appeared to perform better and faster because the were less inhibited ("intoxicated participants tended to rate their experience of problem solving as more insightful, like an Aha! moment, and less analytic") and, following earlier research, people with better memories tend to do worse on the Remote Associates Test. Because drinking dulls memory, it may help such people perform better on this creativity test . The researchers also speculate that "being mildly drunk facilitates a divergent, diffuse mode of thought, which is useful for such tasks where the answer requires thinking on a tangent." Therefore, creativity is directly linked to free thinking and the letting go of conditioned inhibitions that catalyzes out of the box thinking. This means that a good couple glasses of wine in the evening can spark new ideas and solutions to problems for the next day, or problems that had arisen that day. Wine, as in the case of coffee, can be that edge to your creative power; within reason. As professional and adults, we should use these substances respectfully and as tools. Now, if you are drinking[coffee or wine]socially, the word tool would not apply. But in the case of the creative process, they are tools to not be over used or worn out. Taking breaks from any tool is of benefit to the producer. But, as we see above, they can be assets to your creative process on a daily basis. In every household there is a piano, the family sings together on a regular basis, and there is a brass band that plays in the town square on the third Friday of every month. The ear is 1991 in the midwest and I am 3 years old, playing the violin for a year. The times are different and the people that make up the environment are very different. In this setting, life is simpler and every person knows everyone by their first name. During this time there was room for great expression and support of individual expression. Is this because people were more open to the idea of people being themselves? Of was simply where the mindset as a whole was at the point in history? Regardless, the fact remains that times have changed to be less supportive of individual expression and personal creativity. Even though you might be tempted to suggest that individual expression was supported because of geographic location, that places like NY or LA were more rigid in terms of how creatives were allowed evolve. However, the 1900's were an explosion in creativity in many different genre on both costs. This might be contributed to the fact that the artists creating music at this time were venturing into new territories and experimenting with new expression ideas. These ideas were embraced by the public because everyone was eager to hear what the artists had to say that was a developing on previous standards. The music was growing and becoming new in every way possible. Electronics started playing a major role in music and the rhythms started to become more complex as musicians attempted to push the bounds harmonically and melodically, as well. This will was embraced by the masses as creatives such as Miles Davis, Fats Waller, and Fritz Kreisler starting to compose and perform their pieces to engaged crowds of people that were waiting on every note. The question in the 21st century is whether this same mass point of view is held with the audience? I think one can get the answer rather quickly when attending a local jazz club or an orchestral premier of a modern composer. There are two sides to this, of course; the modern day composer, in his attempt to expand, has gone to some very interesting places with his art. This creates some distance from the audience, as music becomes more minimalistic and less emotionally focused. As this occurs, the mind of the composer becomes more focused on being "out side" the lines of conventional thought. As composers expand, the music seems to drift more and more away from the emotional elements that once connected the audience to it. Even though there are composers, currently, that are composing very soulful music that touch deep places within us, they seem to be over shadowed by the "modern" composer and his minimal ways (think Philip Glass). As this movement continues to find a way into our concert halls and homes, let us not forget where our individual expression is. Let us not forget that our individual style is perfect the way it is, and we don't have to adhere to what is considered "progressive" . Each one of us is a conduit for creative expression, individual and unique. This qualities can only be support when we take personal stock in them. Afterword, we should protect our assets and the fruits of our labors. By being true to ourselves we find a new level of creative expression that is fresh and new. This might not fit the mold of what is consider new and fresh. But, isn't that what creativity is?